California has been enjoying a great deal of rain and snow over the past several months—a pleasant rebound in precipitation after the brutal drought that plagued the state from 2011-2017. 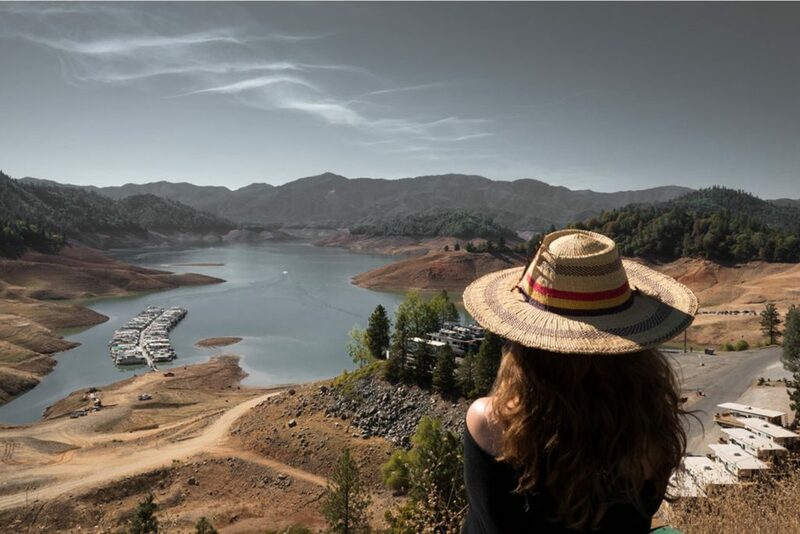 It’s now early 2019, reservoirs are full, the mountain snowpack is deep, and water managers in the Golden State are breathing easier than they have in a long time. Though water use has crept up since the end of the drought, overall water consumption remains lower than its pre-drought levels. A surprising finding emerged from my analysis of California’s drought data with Youlang Zhang and David Switzer: the state’s private, investor-owned utilities conserved significantly more water than did local government utilities during the crisis. We linked the difference in drought response to the institutions that govern water finance. Nerds interested readers can read the full study in Policy Studies Journal for the details. This consistent public-private difference lends greater weight to the idea that rate decoupling facilitates water conservation for private utilities, and that political constraints hamper public sector conservation. If 2018 holds to form, public and private conservation will converge in the spring and diverge again in the summer and autumn. If financial and political considerations are really behind the public-private differences in conservation, then it stands to reason that the greatest differences would come during summer months, when water demand–and therefore rate revenue–fluctuations are greatest. Not actually the author. I might have doctored the image a bit, too. Now that full 2018 data are posted, it’s time to revisit conservation performance for the Golden State’s water utilities. Was the forecast valid? Did private systems conserve more than public systems again last year? As you can see, public and private conservation moved in pretty close parallel through 2018, but private utility conservation was consistently higher than public. The difference was negligible during winter months, but during the May-September peak demand season, California’s investor-owned utilities saved an average of 2.3% more than their local government counterparts. As always when discussing water, it’s important to give percentages some context. Had public utilities saved at the same rate as private utilities in 2018, the difference would have been about 27 billion gallons—more water than San Francisco uses in a year. The persistent seasonal swing in public-private water conservation suggests that the difference is due to differences in outdoor irrigation behavior. That the pattern is now consistent over three years adds to the mounting evidence that rate decoupling encourages conservation for investor-owned water systems. This isn’t a story of environmental angels or devils, it’s about governance institutions and the incentives that they create. In light of the political challenges of managing local government water finance, it’s impressive that public utilities have continued to conserve as much as they have—a testament to local water managers’ commitment to efficiency in the face of political headwinds. *They could hardly be worse. I didn’t get a single Final Four team right. A while ago I blogged about my ongoing work with Youlang Zhang and David Switzer on water conservation in California. The first of our studies is now published at Policy Studies Journal; more are on the way. There we saw that financial incentives and institutional politics led to the surprising result that private, for-profit companies out-conserved local government utilities during a recent drought. But another interesting pattern emerged from that study: a significant difference in conservation between utilities that draw their water supplies from wholesale sources. 3) Purchasing water from a wholesale water utility. In the first two cases, local utilities own wells, surface water intakes, and treatment plants. About 29% of American utilities fall in the third category, getting their water through wholesalers. In these cases, the local utility owns a distribution and/or storage system, but the supply works and perhaps the treatment facilities belong to another utility. Sometimes these wholesale utilities have retail customers of their own, sometimes they are purely wholesale suppliers. In California, more than a third (36%) of water systems get at least part of their water from a wholesale supplier. A handful of very large wholesale water suppliers like Metropolitan Water District, San Diego County Water Authority, and Santa Clara Valley Water District manage major supply works, and then sell water to cities, special districts, and investor-owned retail water utilities. A major advantage of big wholesale water utilities is that they allow a region’s water supply to be managed holistically and comprehensively. Rather than individual communities competing and depleting water supplies, regional wholesalers can plan and balance water supply needs. From the local perspective, wholesale utilities help diversify supply and so guard against catastrophic supply shortages. They also allow communities across a region to pool their capital for greater efficiency. Together these features spread both supply risk and financial risk across many local utilities. In other words, under take-or-pay contracts, the retailer pays the wholesaler the same amount, even if the retailer uses far less water than the contracted volume. Got all that? Still with me? Here’s what it all means for conservation. Wholesale supply arrangements reduce supply risk and long-term financial risk to local utilities. Take-or-pay contracts make a lot of sense for long-term stability for supply systems that have high fixed costs. But in the short-term, these wholesale arrangements create disincentives for retail conservation during a drought. Under wholesale agreements, short-term supply risk from drought is shifted from the local utility to the wholesaler: the wholesaler is legally responsible for maintaining adequate supply. Meanwhile, fixed take-or-pay contracts leave retailers on the hook for the same amount no matter how much water their customers actually buy. The retailer may suffer significant sales declines if it rains all summer, or if the state imposes drought restrictions, but the retailer still has to pay the wholesaler as if demand was normal. Together, these factors create structural disincentives for emergency conservation for retail utilities under wholesale agreements. Does diluting risk also dilute conservation? As I explained in an earlier post, the recent drought in California prompted that state to impose conservation rules on retail water utilities from June 2015-May 2016. Each utility was assigned a specific conservation target and the state recorded overall conservation by each utility. Did utilities that operate under wholesale supply arrangements perform differently from utilities that own their own supplies? Our analysis of data from the drought mandate period is pretty striking. After accounting for a host of organizational and environmental conditions, we found that water systems that rely on wholesale water supplies were 42% less likely to meet state conservation standards, compared with systems that own their own supplies. We also found that, after accounting for other factors, utilities under wholesale contracts conserved an average of 2.6% less each month relative to systems that use their own wells or surface water sources. In a state as large as California, this small percentage difference equates to tens of billions of gallons. These patterns don’t prove that wholesale contracts caused California utilities to slack on conservation. But the data certainly align with the short-term incentives that wholesale supply arrangements create, and there aren’t other obvious reasons for the disparity. The lesson here is to pay close attention to wholesale contracts when setting conservation rules, so that conservation and financial incentives work in concert. *Technically there are other sources, too—desalination and water reuse, for example–but they’re so rare that they don’t allow for much meaningful analysis. †”Take-or-pay” is a weird phrase, since there’s really no “or” to the arrangement. Seems like “fixed fee” is a more accurate label, but then I’m not a lawyer. How private implementation separates public policies from their political costs. In 2015 the California State Water Resources Control Board (SWRCB) ordered drinking water utilities to reduce water usage by 25% statewide. As my last post described, something surprising happened: compared with local governments, the state’s private, investor-owned utilities imposed stricter water use regulations, were nearly twice as likely to comply with the state mandate, and conserved significantly more water overall. Though counterintuitive, this difference in public and private sector water conservation follows rationally from the political institutions that govern water in America generally and California specifically. The keys to this conundrum are money and politics. American water utilities operate on a fee-for-service basis; typically, customers pay a fixed monthly charge, plus a charge for each unit of water. Faced with resource scarcity or some other environmental problem, it may make sense to curb water consumption—say, in response to a drought. But reduced consumption reduces revenue. For utilities that rely on rate revenue to fund their operations (and, in the case, of private utilities, to pay their shareholders), conservation can be environmentally good but financially bad. The financial risks of conservation are especially severe for utilities due to their very high fixed costs. 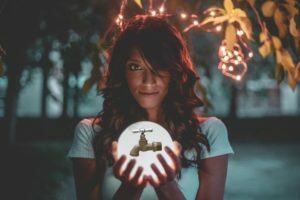 As I’ve observed before, whether a utility delivers one gallon or ten million gallons, the costs of constructing, maintaining, and operating reservoirs, treatment plants, and distribution pipes are the same. A drop in water sales doesn’t bring a matching drop in costs to the utility, so reduced consumption threatens financial sustainability (for government utilities) and profitability (for investor-owned utilities). Utilities are natural monopolies, and so could charge customers exorbitant prices if they were allowed to set prices any way they like. For that reason, utilities are subject to government price regulation. But the institutions that govern private and public utilities are different, and present them with very different incentives to comply with state conservation rules. Let’s start with private utilities. Governments regulate private utility pricing through state Public Utilities Commissions (PUCs); in California the PUC is composed of five appointed commissioners. The PUC process is technocratic and legalistic, usually drawing scant media attention. PUC price regulation proceeds under the cost of service principle: companies are limited to recovering the actual cost of providing service, plus a legally-sanctioned rate of return. Decades ago, the conflict between conservation and profitability for private utilities led environmentalists to develop rate decoupling: the separation of a firm’s revenues from the volume of product it sells. If conservation causes revenue shortfalls, decoupling provides for automatic rate increases to make up the loss. In that way, decoupling shifts the financial risks of conservation from utilities’ investors to their customers, eliminating the incentive for utilities to sell more and more energy, water, or whatever. Decoupling can work in situations where private utilities operate under PUC regulation, and has generally been successful in stimulating conservation in the energy sector. Today about half of US states use rate decoupling for electrical utilities. 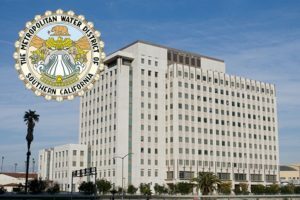 In 2008, California became one of just two states (the other is New York) to adopt decoupling for water utilities when it introduced the Water Revenue Adjustment Mechanism (WRAM). Private utilities take advantage of this provision when conservation causes a loss of sales revenue: financial losses associated with reduced sales volumes are recovered in future rate increases through WRAM. PUC records show that by Spring 2018, at least 39 of the 62 investor-owned utilities subject to California’s conservation mandate had invoked WRAM and raised rates following the drought. Decoupling irritates customers, who understandably grumble about paying more for water they didn’t use—the paradox of conservation. But those grumbles are largely impotent, as the PUC’s technocratic process allows WRAM under state law. And then there are local governments. Governments (including counties, municipalities, and special districts) that own drinking water utilities are essentially self-regulated with respect to pricing; their rates are set by city councils and district boards. Public water rates are thus subject to the political calculations of local elected officials. Water customers are also voters who prefer lower rates, and so raising rates can have bad electoral consequences for politicians. Unlike the technocratic PUC process, rate-setting for government utilities can be a contentious affair. In California the political risks are especially pronounced, since public water rates are subject to Proposition 218. California local government utilities can raise rates when conservation measures cause revenue shortfalls; they need not seek permission from the PUC. But raising rates is politically risky for local officials. Whatever their attitudes toward sustainability, citizen-customers of government utilities are just as irritated as customers of private utilities when they use less but pay more. Government managers and elected officials are wary of angering their voting water customers if revenue losses force rate increases. Consider the politics of water conservation in the City of Redlands. California’s 2015-2016 emergency rules assigned the city a 33% conservation standard. The city responded with a series of conservation measures, but met its conservation standard in just two out of twelve months and achieved only 11.3% conservation overall. Still, reduced water sales caused a city revenue loss of about $2 million. When utility staff recommended a 19% rate increase to cover the shortfall, more than 3,000 citizens filed protests against the increase in advance of a raucous, five-hour City Council meeting on the subject. 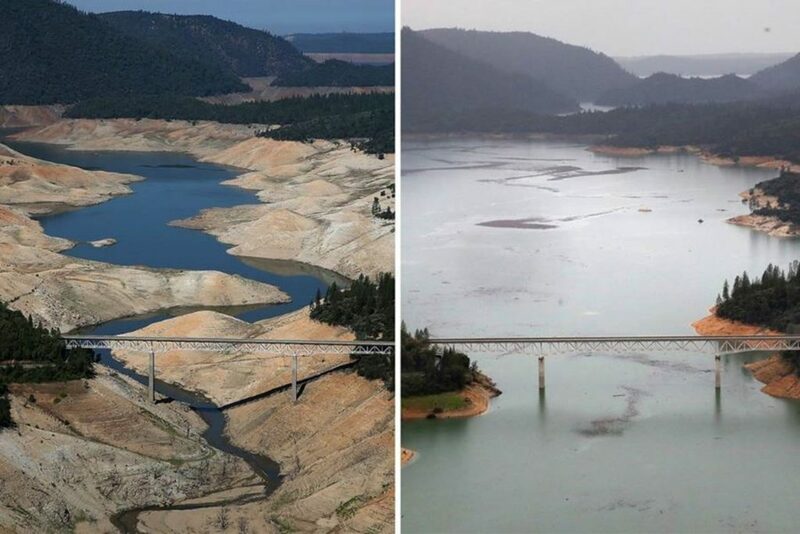 Drought-related rate increases prompted similar protests and/or legal challenges in Alameda County Water District, East Bay MUD, Hillsborough, Los Angeles, Pleasanton, and Yorba Linda. When combined with rate decoupling, private water provision shifts to private firms the political risk that discourages conservation by governments. The unelected PUC absorbs those political risks instead. In this way, investor-owned water utilities provided a kind of political decoupling during California’s drought: private implementation of conservation rules separated a controversial environmental policy from its political costs, and helped make private firms more effective conduits of environmental policy than were government agencies. Youlang Zhang, David Switzer, and I develop the idea of political decoupling and its broader implications in a forthcoming article. Of course, decoupling conservation from its political costs does not eliminate those costs so much as place them beyond the reach of ordinary citizens. That might make for effective drought response, but it weakens democratic local governance. A California Surprise, Part 3 will discuss what happened after the SWRCB dropped the conservation mandate.